Nurse Practitioner and Energetic Healer, Mara Williams RN, MSN, ANP-BC, has been a health care provider for over 30 years. For 15 years, Mara worked in Hospice, helping people at the end of their life. For most of her life she has been devoted to a spiritual practice and developing her gift of working with energy. Eventually she returned to school at UCSF to earn a Masters and become a Nationally Board Certified Adult Nurse Practitioner so she could have a greater impact in helping people heal. Currently, she specializes in treating people with Tick Borne Diseases (TBDs), using an integrative approach to help them attain greater health and well-being. The secret to healing is discovering the root cause of the problem, and this is what Mara does best. Formerly a financial advisor at Smith Barney focusing on high-net-worth entrepreneurs, women and strategic portfolio management, Zoe developed personal branding and strategic marketing strategies that she shared with other advisors in the firm. As wealth manager, she also did individual portfolio management at Smith Barney and financial planning. Having managed many communications projects for large companies that encouraged enrollment in 401ks, health and medical benefits for employees, Zoe understands both employer and individual needs. After graduating with a degree in film studies and a minor in English from UCSB, Zoe spent a year traveling through eight countries absorbing different communications and cultures through language and behaviors. Upon returning, Zoe began to follow an investigative career path, now humorously called “Generation Flux” that covered many of the tools for communication between individuals, businesses and the drivers to our economies. Robbie Vorhaus is consistently named as one of the top three communications and crisis strategists in the world, and is an internationally recognized and trusted media and reputation advisor to world leaders, celebrities, leading entrepreneurs, and Fortune 500 companies, including Pfizer, Citibank, H.J. Heinz, General Motors, Domino’s Pizza, Unilever, UnitedHealthcare, Pepsi, Weight Watchers, and Coca-Cola. A former journalist, Mr. Vorhaus is an author, inspirational speaker, columnist, teacher, and CNN and CNBC contributor. Robbie is the founder and principal of Vorhaus & Company, Inc., a virtual multi-platform communications agency he founded in 1989. Vorhaus & Company provides strategic communications counsel, support and services throughout the world. Vorhaus & Company operates under 20 core values. An expert in emerging technology and a frequent speaker at conferences and technology gatherings, Tracy Sheridan has roots in digital tech that stem back to the late 1990’s. Ms. Sheridan helped grow and cultivate one of the first social networks – The Company of Friends – Fast Company magazine’s global online community, gaining an early knowledge of online behavior and platforms. In 2006, she pioneered the technology of interactive podcasting as the founder and CEO of Waxxi, Inc. Guests on the globally-attended programs included best-selling author Seth Godin, TechCrunch founder Michael Arrington, and Wikipedia cofounder Jimmy Wales. Ms. Sheridan was featured in the book, "What No One Ever Tells You About Blogging and Podcasting: Real-Life Advice from 101 People Who Successfully Leverage the Power of the Blogosphere", and has been interviewed by the national media including CBS Market Watch and CNN. Mona Motwani is a human rights attorney and author. Mona is a Co-founder and current Board Member of Spark. Mona currently serves on the Steering Committee for the 5th World Conference on Women through the SF Department on the Status of Women. She also served as a delegate to the 56th UN Commission on the Status of Women at the UN headquarters in New York in February 2012, and was a speaker on two panels at the conference. Most recently, Mona litigated in the area of housing discrimination and predatory lending at the Law Foundation of Silicon Valley. She has also worked at a variety of organizations, including the ACLU where she worked on voting rights, and the Center for Gender and Refugee Studies where she worked on immigration/asylum cases for victims of gender persecution, and the Child Care Law center where she advocated for children with disabilities. Mona worked at the United Nations in post-war Sarajevo, focusing on human trafficking, and the rights of women and children. She also worked on international human rights litigation at the Center for Justice and Accountability, a San Francisco based organization that brings civil prosecutions against human rights abusers living in the United States for crimes committed abroad. Mona graduated from University of California, Hastings College of the Law in 2005, and received her B.A. in political science from the University of Michigan. Sara Donnelly specializes in Internet Marketing and Social Media. Sara is a graduate of San Jose State University where she attained a Bachelors in Business Administration and Marketing. She was the head of the research department while working with EdVenture Partners on a campaign to promote jobs within the FBI, learning valuable organizational, marketing research, and consumer behavior skills. 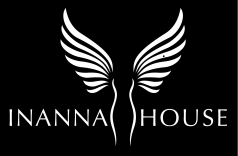 She loves her role with Inanna House, which includes the handling of all communications and media. She is currently working on a project with artist David Skidmore producing a book for his "Lyme Loonies" cartoons. Sara has a passion for dance, and is a licensed Zumba instructor.